Community action is the cornerstone of the campaign and the most important part of the White Ribbon Ride. Events organised by communities provide the riders with the opportunities to meet and talk about the kaupapa of White Ribbon, raising awareness and inspiring change. Each year, the calibre of events to host the riders continues to increase and 2017 will be no exception. The White Ribbon Team are working with communities to finalise the 2017 route. Start brainstorming your White Ribbon Ride event now so you can experience the excitement and magic. Give your community an opportunity to participate in the largest and most successful White Ribbon project to date. Watch this space for further details and updates on events as they are confirmed. The information from 2016 has been left on the website to give you an indication of what the previous Rides looked like. Download the White Ribbon Ride Registration of Interest here. Get updates on the Ride and Campaign by joining our White Ribbon mailing list. Here are some highlights from previous White Ribbon Rides to get you inspired! Riders told their stories then fielded questions/comments from the audience. This event was interactive, thought-provoking, and really well received by the community. 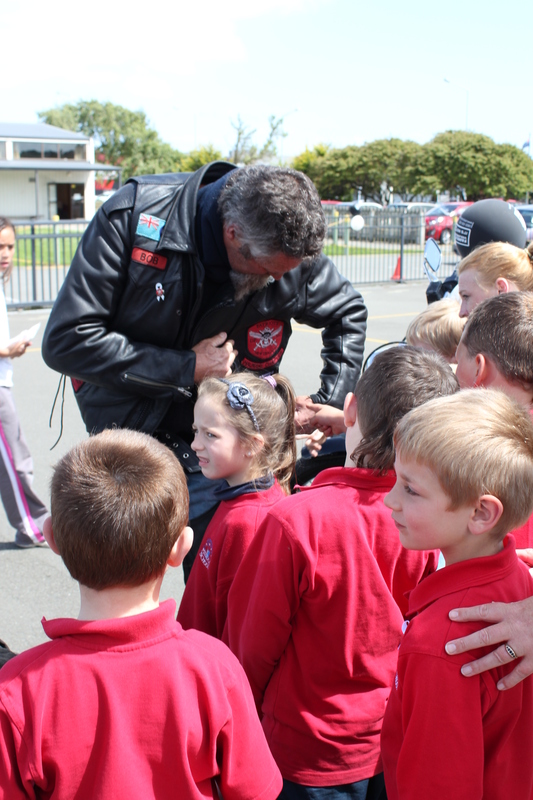 The riders were sent to an array of schools where they captivated the children with their bikes and message. The messaging was bang on, with kids being told to ‘be awesome to each other, especially your mums, sisters and friends’, and that bullying was not cool. An aerial photo was taken of a hundred school children holding sheets of white paper above their heads, standing in the shape of a ribbon. After listening to the riders speak, they knew exactly what the day was about. Businesses were invited to register a team and take part in this fun community event. Hundreds of people attended, each one taking home the White Ribbon message. Three corrections facilities invited the riders into their midst to speak with high-risk inmates. Emotive scenes unfolded, with passionate hakas offered in support of the kaupapa and poignant stories shared between the riders and the inmates. White Ribbon Ambassadors came out in force in 2016 to support the riders on their mission. In fact, Ambassador David White took part in the whole North Island White Ribbon Ride! If you don’t have a local Ambassador to invite along, think about nominating one, so they can add profile to your event! A small group of riders were invited to speak at a stopping violence services course. The riders had the feeling that they were in exactly the right place – talking to men who needed support to change their attitudes and behaviours. There have been many more highlights with marches, breakfasts, speaking engagements and of course the many opportunities where men, women and children were able to meet the riders and share the kaupapa.